BioE honorees were (left to right): Krish Roy (Outstanding Advisor), Joshua Hooks (Poster competition winner), Tom Bongiorno (Ruffin Award winner, and Rapid-fire compeition winner), Jordan Ciciliano (Outstanding Paper), and Bob Nerem (Keynote Speaker). 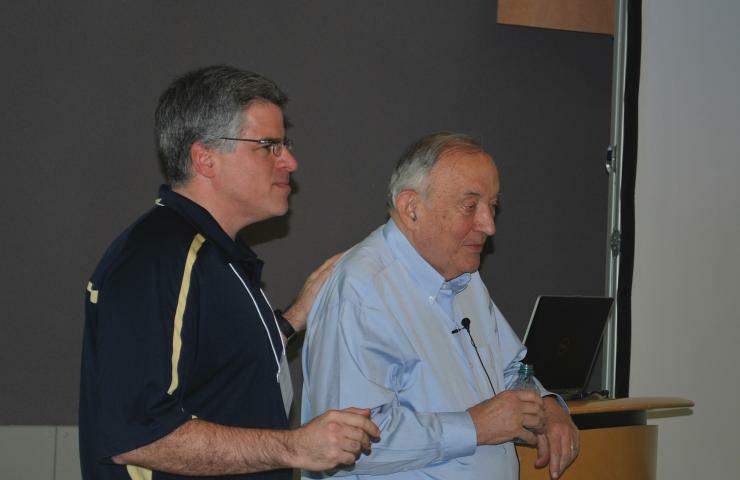 Bob Nerem stood tall as the BioE Day keynote speaker. 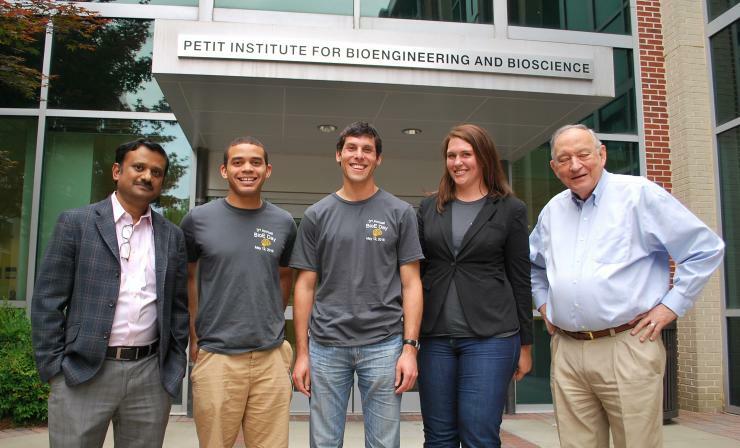 Kirsten Parratt and her fellow BioE grad students were captivated by Bob Nerem's keynote address.